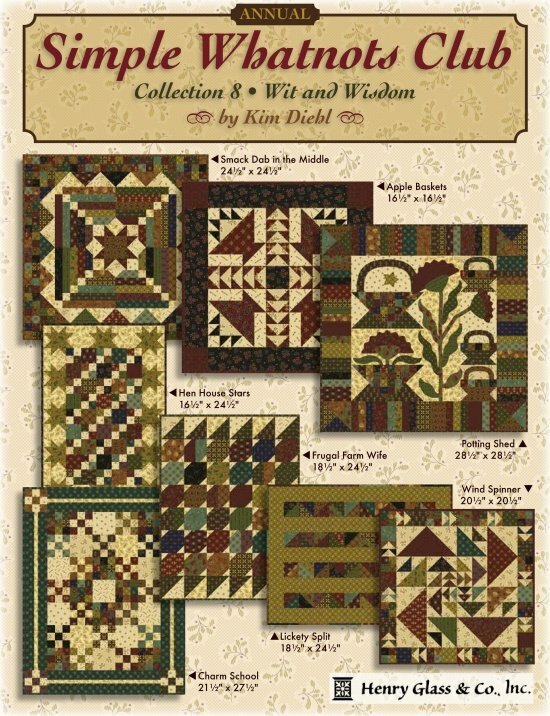 Join us for 8 New Kim Diehl Projects! Simple Whatnots Club meetings will introduce the project of the month, offer tips and tricks for completing the project of the month, show and tell, and be full of fun with quilt friends. You will receive a 15% discount on your SWC fabric kits. The $40 Club Fee includes 8 patterns and a special surprise bonus! Patterns will be handed out during club meetings each month. The Simple Whatnots Club meets the 3rd Saturday at 9am and the Tuesday before at 9am. Choose 1 meeting a month that best fits your schedule. Meetings start March 1th at 9am or March 1th. Includes pattern and club meeting. 15% off SWC 8 kits.